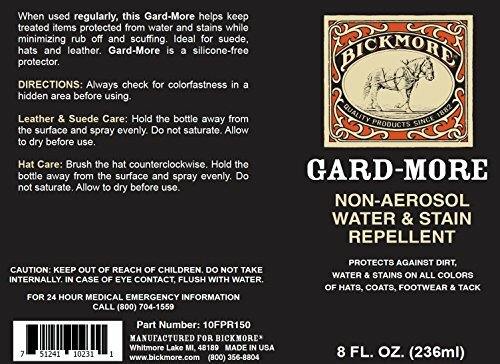 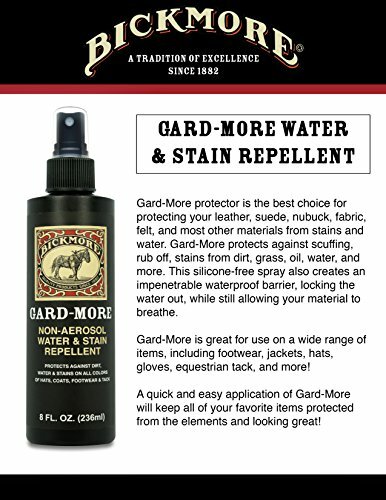 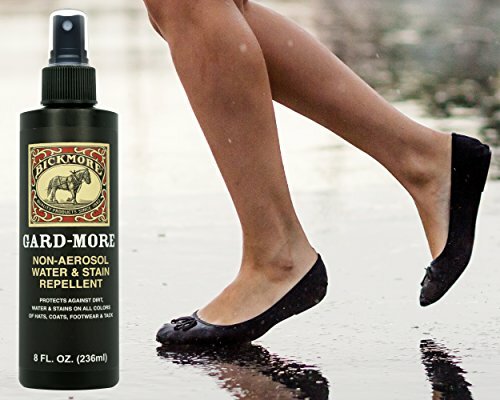 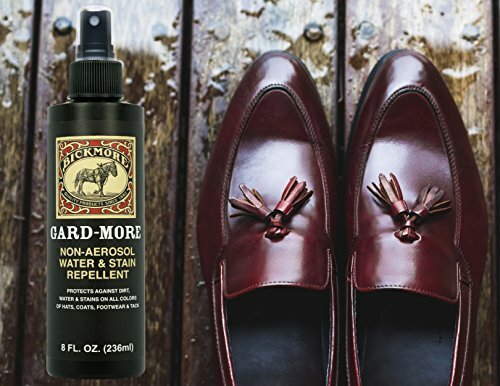 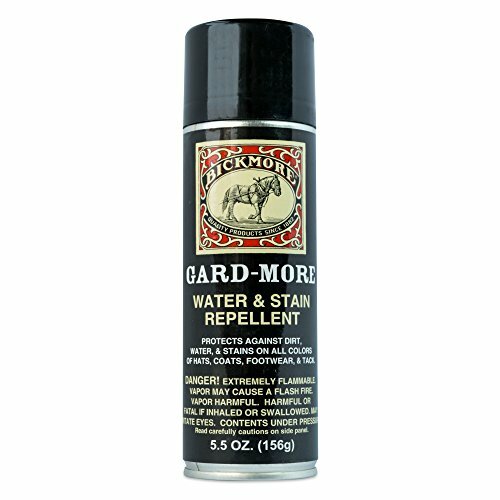 SUPERIOR WATERPROOF TREATMENT- Bickmore’s Gard-More Water & Stain Repellent has been specially formulated to add a protective layer to your valued goods helping guard against water and stains while minimizing rub off and scuffing. 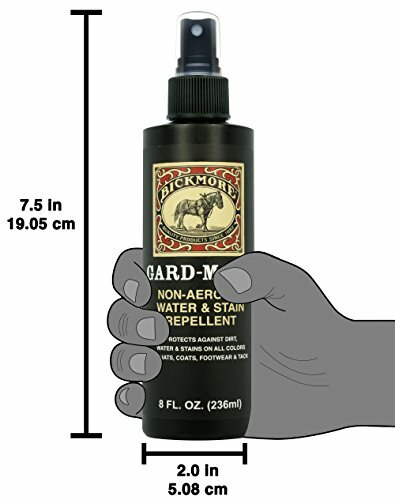 QUICK AND EFFICIENT SPRAY APPLICATOR: The Gard-More non-aerosol spray applicator provides quick and complete coverage, ensuring that no areas are left unprotected. 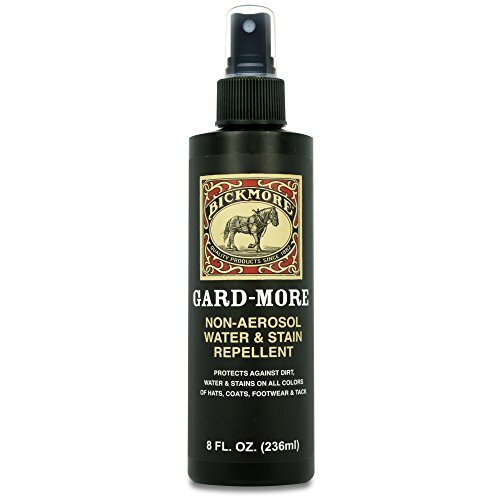 MADE IN THE USA: Bickmore is proud to make all Bickmore Gard-More Non-Aerosol in the United States of America.